Fulton County District Attorney Paul L. Howard, Jr. Currently serving his sixth term as Fulton County District Attorney, Paul L. Howard, Jr. is a visionary and trailblazer whose innovative ideas have left an indelible mark on the local justice system and the community at large. Mr. Howard first assumed the Office of Fulton County District Attorney in January 1997—becoming the first African-American to be elected District Attorney in the State of Georgia. He succeeded Lewis Slaton, who held this position for 31 years. 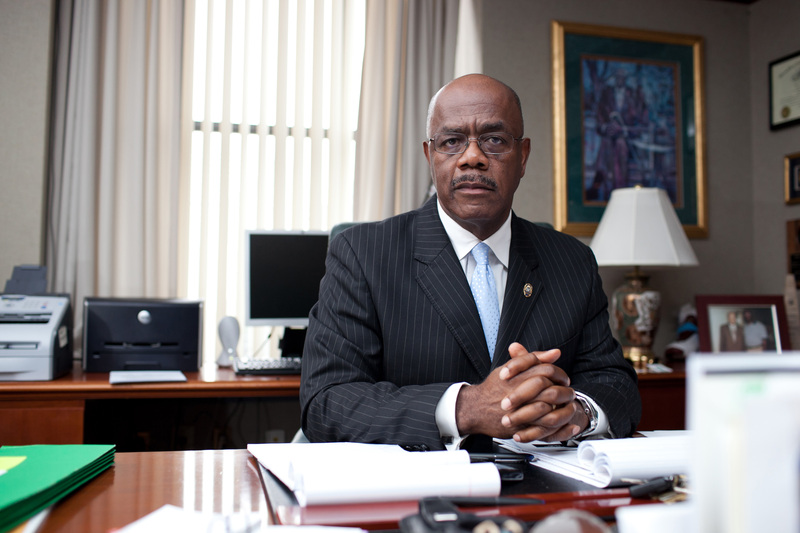 Prior to being elected District Attorney, Mr. Howard had served as Fulton County’s Solicitor General for four years. The District Attorney prosecutes all indictable offenses as well as those that may be charged by accusation and litigates these offenses in both the trial and appellate courts of the State of Georgia. The Office is also responsible for prosecuting felony and misdemeanor offenses committed by juveniles. In order to execute these responsibilities, as well as other duties required of the District Attorney by law, the Office currently retains a staff of 100 Assistant District Attorneys and additional 143 staff members including investigators, victim advocates, and administrative personnel. The District Attorney is elected to four-year terms in partisan, circuit-wide races.